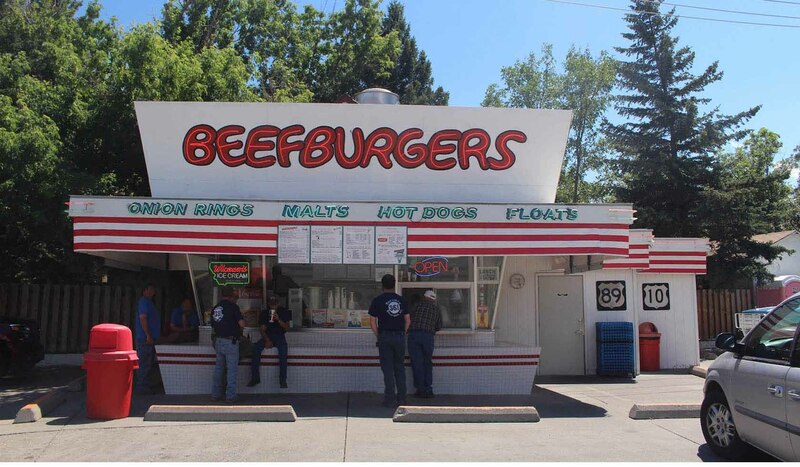 Mark's In & Out Beefburgers is an original 50's drive-in established in 1954. Mark's serves a 50's style menu of burger, fries, footlong hot-dogs and chili dogs. We use local beef, ground and pattied fresh daily. All of our burgers are cooked and dressed to your desire. You can wash it all down with a cool shake, a malt, a creamy ice cream cone or sundae and enjoy it in the shady five acre park across from the restaurant. Mark's uses only Wilcoxson's ice cream made in Livingston since 1914. Mark's In & Out features roller-skating carhops to serve you on weekends throughout the summer. We are open from 11:00am to 10:00pm everyday seasonally, March through October.